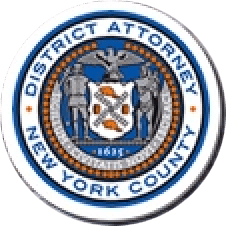 Manhattan District Attorney Cyrus R. Vance, Jr., announced the guilty pleas of CAREY VAUGHN BROWN, 57, as well as two companies he operated and controlled, CREDIT PAYMENT SERVICES, INC. (“CPS”) and MYCASHNOW.COM, INC. (“MYCASHNOW”), to Criminal Usury in the First Degree for engaging in a scheme to make multiple short-term, high-interest loans – known as “payday” loans – to Manhattan residents. As part of a plea agreement executed May 12, 2016, BROWN has already forfeited $3 million, and is bound by the terms of the agreement to pay an additional $6 million in forfeiture to victims. Under the terms set forth in a forfeiture order, a compensation fund will be set up by the Manhattan District Attorney’s Office’s Asset Forfeiture Unit to compensate verified victims of BROWN’s payday lending scheme. BROWN is also required to perform 250 hours of community service under the plea agreement. Payday loans are generally defined as loans of $1,000 or less that are typically intended to be repaid from a borrower’s next paycheck. These loans often carry interest rates exceeding 300 percent of the principal when calculated on an annual basis for the initial term of the loan. Borrowers are often unable to repay the loan after the first two-week period. In such cases, payday lenders routinely extend loans, charging new fees for the extensions. Many borrowers end up paying double the amount of the principal loan or even more. In New York State, it is a crime for an unlicensed lender to charge more than 25 percent per annum interest on any loan less than $2.5 million. As part of his guilty plea, BROWN admitted that, between 2001 and 2013, he owned, controlled, or was the final decision-maker for MYCASHNOW, an online payday lender that, at BROWN’s direction, made loans to customers featuring an annual percentage rate of well over 25 percent. These loans were made around the country, including to customers in New York. BROWN also admitted that, between 2001 and 2013, he owned, controlled, or was the final decision-maker for multiple companies, including CPS, ACH FEDERAL, LLC; CLOUDSWELL, INC., a/k/a BASENINE, a/k/a TERENINE; AREA 203 MARKETING, LLC; SUPPORT SEVEN, LLC; MILLENNIUM FINANCIAL CONCEPTS, INC.; and, later, OWL’S NEST, LLC, all of which, at BROWN’s direction, actively supported MYCASHNOW in making payday loans to New York residents. Co-defendants RONALD BEAVER, 57, JOANNA TEMPLE, 60, previously pleaded guilty to Attempted Criminal Usury in the Second Degree on December 14 and December 17, 2015, respectively, for their roles in the payday lending scheme. BEAVER served as the chief operating officer and TEMPLE served as legal counsel for BROWN’s payday lending business; SCENIC CITY LEGAL GROUP, P.C., a company TEMPLE formed after deriving at least 90 percent of its business from BROWN’S payday organization, also pleaded guilty to Attempted Criminal Usury in the Second Degree. Assistant District Attorneys Kevin Wilson and Julieta V. Lozano, Deputy Chief of the Major Economic Crimes Bureau, prosecuted this matter, under the supervision of Assistant District Attorney Chris Conroy, Chief of the Major Economic Crimes Bureau, and Executive Assistant District Attorney David Szuchman, Chief of the Investigation Division. Senior Investigators Matthew Winters and Veronica Rodriguez, Forensic Accountant Investigator Francine Wexler of the Forensic Accounting and Financial Investigations Unit, Investigative Analyst Hyatt Mustefa, and former law fellow Katherine Gora assisted with the case. Assistant District Attorney Lynn Goodman, Chief of the Asset Forfeiture Unit, is handling the compensation plan funded by the forfeited proceeds. District Attorney Vance thanked the New York State Attorney General’s Office, Special Agent Robert Akers of the U.S. Secret Service Chattanooga Regional Office, and the United States Attorney’s Office for the Eastern District of Tennessee for their contributions to this case.